Rabbi Nachum Shifren is a Southern California native. A disciplined athlete, competitive swimmer, runner and triathlete, he served for 10 years as a Los Angeles County lifeguard and received a commendation from the mayor for lifesaving water rescue. At the outbreak of the Yom Kippur War he became a kibbutz volunteer, and in 1977 emigrated to Israel. Shifren served in the Israeli Defense Forces and received a degree in Combat Fitness Training at the prestigious Machon Wingate Institute for Sports in Netanya, Israel. Shifren received a Bachelor of Arts degree from University of California Santa Barbara in Spanish and German Literature. He continued graduate studies in West Germany at the University of Goettingen. Rabbi Shifren is a language teacher and is fluent in Spanish, German, Hebrew and Yiddish. Rabbi Shifren attended Toras Chayim Yeshiva in Jerusalem and Yeshivat Tomchei Tmimim in Kfar Chabad, Israel, where he received his rabbinical ordination in 1990. He has been featured in People magazine, the Los Angeles Times, the Jerusalem Post, GQ magazine, the Jewish Press, Surfer magazine, Longboarder Quarterly, the Jerusalem Report, Yediot Aharonot, Maariv, as well as Le Figaro, The Manchester Guardian, Sud-Deutsche Zeitung, and other international media. He has appeared on ABC's Good Morning America, CNN, Phil Donohue, NPR radio, JTN, Fox TV, Deutsche Welle TV, Dutch, Spanish and Canadian National TV, KNX radio, KBRT, and KFI Los Angeles. He founded Jewish Surfers International and the Surf & Soul newsletter. 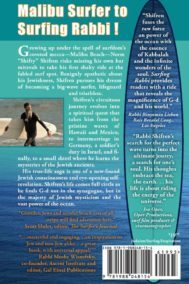 A movie based on Surfing Rabbi is currently in development. 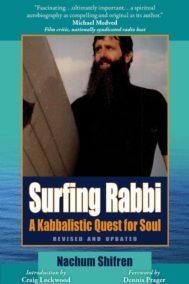 Rabbi Shifren is known worldwide as The Surfing Rabbi. He continues to be actively involved in fitness training, surfing, public speaking, and talmud study. He continues to publish, lecture, and teach. At present, Rabbi Shifren is working on establishing a surf camp in Costa Rica for youth as well as adults, bringing the surf and soul concept into reality. Malibu Surfer to Surfing Rabbi!